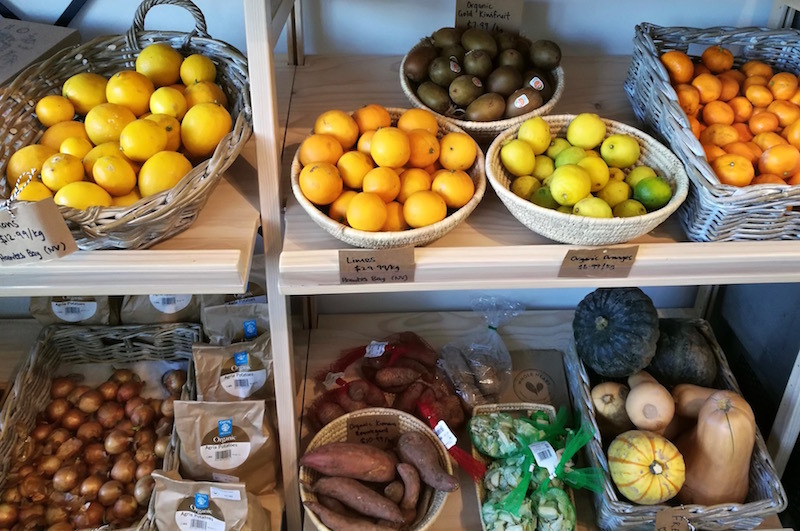 Hamilton only has a few independent grocery shops, so each and every one is to be treasured. Whole Heart has been open since last year. It’s in Queenwood Village, a little block of shops on a sunny suburban corner not far from River Road and a few blocks from Chartwell Mall. 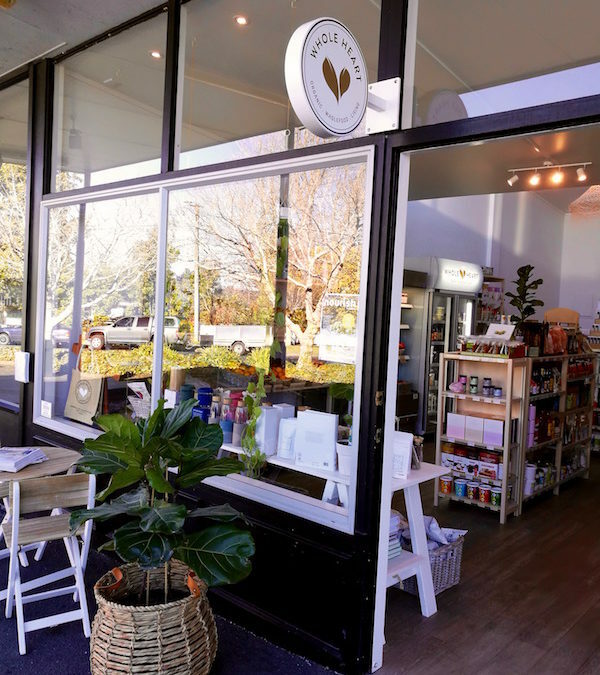 Claire Preston has a great range of organic and local food at Whole Heart. 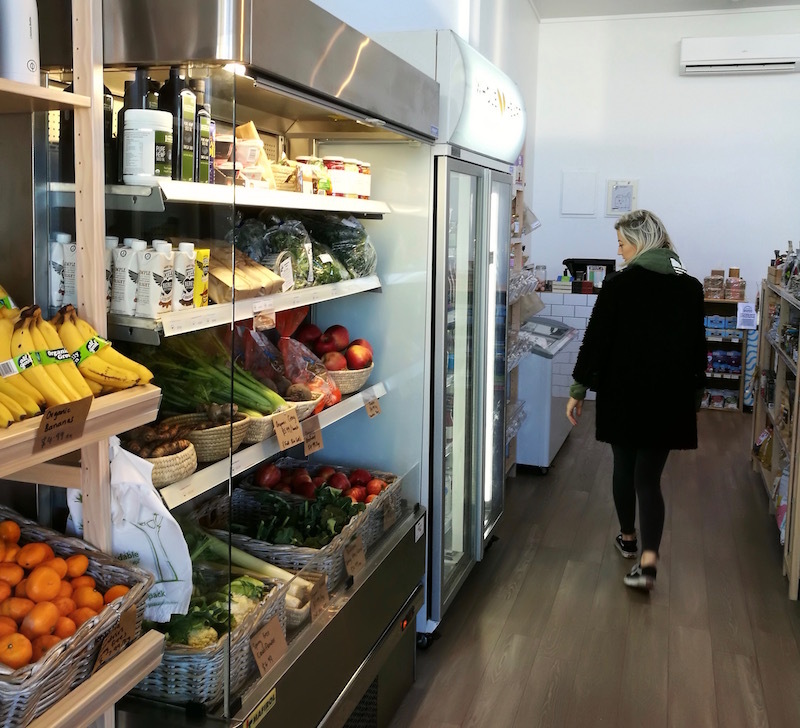 Whole Heart has an excellent range of organic and/or free-range fresh food. It’s obvious that Claire has got her head around the many of the issues of local food quality and supply. There’s local honey, organic cheese and milk, Trade Aid spices, and a great range of herb teas. There are also healthy cleaners, and other household products. I was delighted to find local Backyard Jem vegetables and free-range eggs. This superb, nutrient-dense produce is grown by Shannon Wright and her family on their property near Ngaruawahia. Backyard Jem are at the Waikato Farmers’ markets, but they’re often sold out by the time I get there. Shannon also offers workshops in sustainable food production. I’m planning to write more about Backyard Jem soon. At Whole Heart I also discovered the most delicious gluten free bread I’ve ever tasted (and believe me, I’ve been looking!). Oh My Goodness bread, which comes from the Hawkes Bay, is paleo, gluten free, organic and all the rest. I’ll definitely be going back for more. If you’re in the north end of Hamilton you should definitely check out Whole Heart. You won’t easily find food this good at supermarkets. And if you know of other independent grocery shops, please let me know.